For firefighters who work hard, Pierce Ford Power Stroke® works harder. 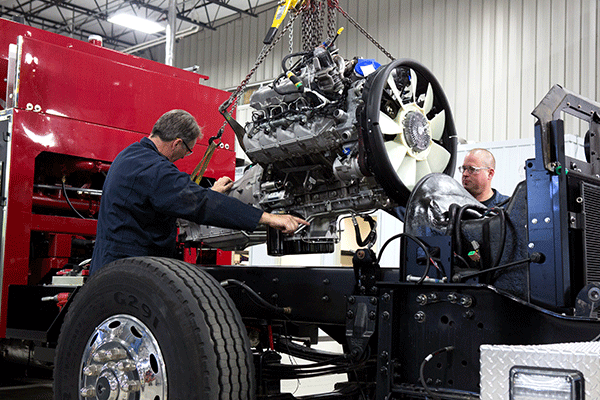 This power train, which was designed for commercial vehicles, has been adapted by Roush to perform at peak performance in heavy-duty applications. In partnership with Roush and Ford, Pierce now offers the Ford Power Stroke with the Saber chassis. On this setup, the Pierce Ford Power Stroke® Turbo Diesel provides your department with an impressive 330 hp engine and the latest innovations in diesel technology. Pierce Ford Power Stroke® 6.7L engine now includes a larger turbo, heavy-duty crankcase venting, larger DPF, and dual alternators, featuring a 360 amp combined output. Ford’s power train has best-in-class fuel economy, improved throttle response, and runs quieter. This one-of-a-kind engine was designed to fit all EPA regulations and meets all 2017 Green House Gas emissions requirements. The engine also includes a B10 life of 500,000 miles, standard/integral exhaust brake, a high-pressure common-rail fuel-injection system, and a 5 year/100,000 mile limited warranty. 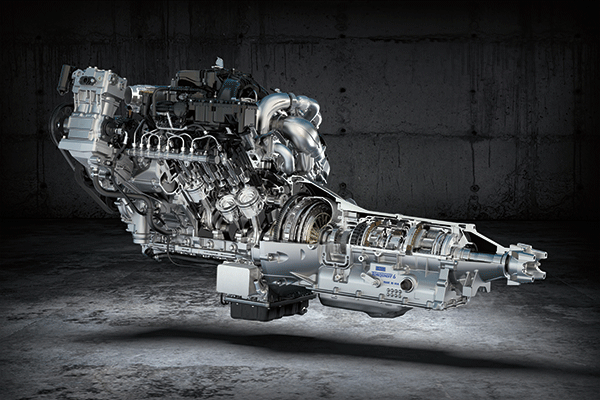 This powertrain includes Ford’s TorqShift HD 6 speed automatic transmission, with road-tested and proven reliability. It features a PTO port with up to 300 ft-lb of torque capacity, which can run items like fire suppression systems or generators. The transmission includes an in-radiator transmission cooler, upgraded gear sets for durability, and dual-media fluid filters that allows for shorter downtime for maintenance. Pierce has tested this transmission over thousands of miles and in various conditions – and it’s stood up to every test they can think of. Service is made easy with our team, allowing for quick availability and extensive expertise. This makes it easier for you to get serviced and back on the road as quickly as possible. If you’re interested in learning more about Pierce Ford Power Stroke®, contact us today. Our knowledgeable Pierce fire truck sales representatives are waiting to speak with you!